Valentine’s Day is the perfect time to plan a getaway with your sweetie. 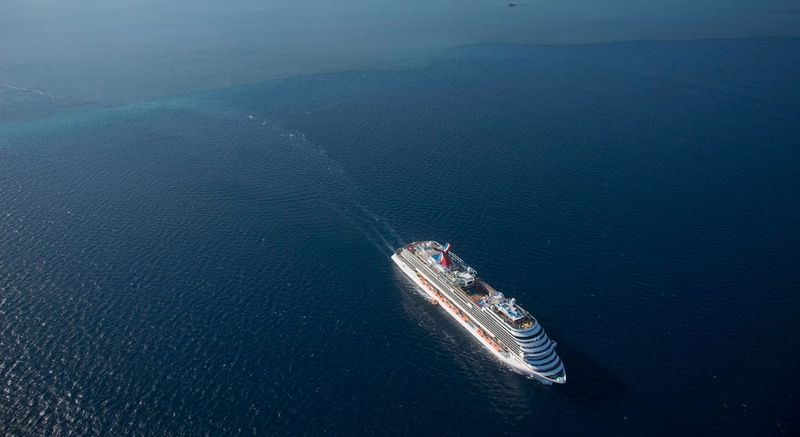 Fortunately, the cruise industry has many choices for cruising throughout the year so you’re not restricted to traveling only on February 14. For procrastinators who hate scheduling anything on that date and who also recognize the difficulty in getting around during a time marked by school vacations and the Presidents’ Day holiday in addition to Valentine’s Day, these cruise gift possibilities might just be the solution to your sweet “problem.” As Sarah Kennedy, director of Public Relations for CLIA (Cruise Lines of America) says, “Every day on a cruise ship is a celebration.” I agree. 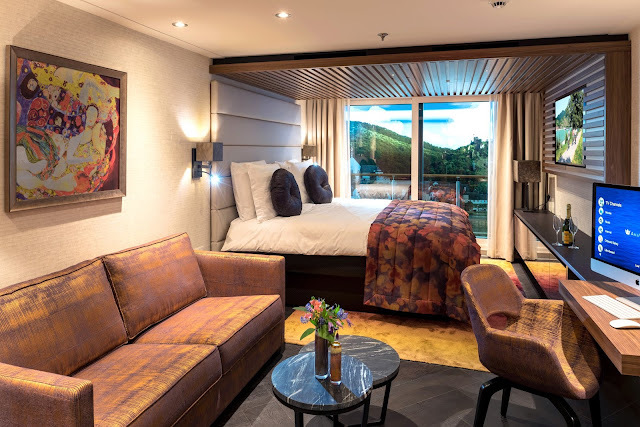 If you sail on AmaWaterways’ newest river ship, the AmaMagna, you can take your romance to a new level by renewing your vows on-board. Floating along the romantic Danube River, with St. Stephens cathedral in Passau and the Buda Castle as backdrops, you’ll have an official ceremony along with Zen Wellness Studio pampering, a rose petal turndown, and a Champagne excursion to celebrate this commemoration of your marriage. You can also grab a bike and explore the countryside by your lonesome, enjoying the beauty and serenity as you drink in this momentous occasion. For you procrastinators, you can book this up to 90 days from departure, too. 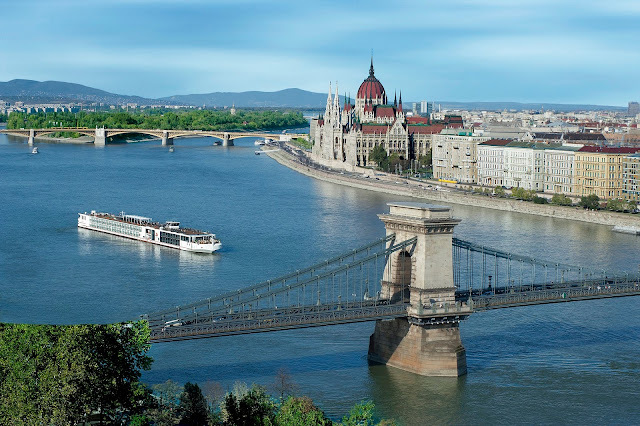 Viking Cruises also recognizes the intrinsic romance of a Blue Danube sailing with two eight-day July and August Danube cruises on sale just for Valentine’s Day. 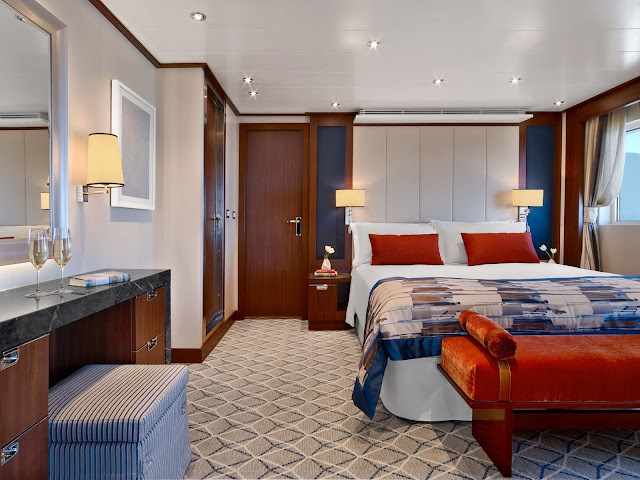 This one has a quick booking date, though – you’ll need to book by February 15 – to get the special pricing, free air, and a $200 shipboard credit per stateroom. Choose from either the “Romantic Danube” sailing, traveling from Budapest to Nuremberg or the “Danube Waltz” with its Budapest, Vienna, Bratislava and Passau route. Don’t delay -- request offer SMR19 to get these special deals. 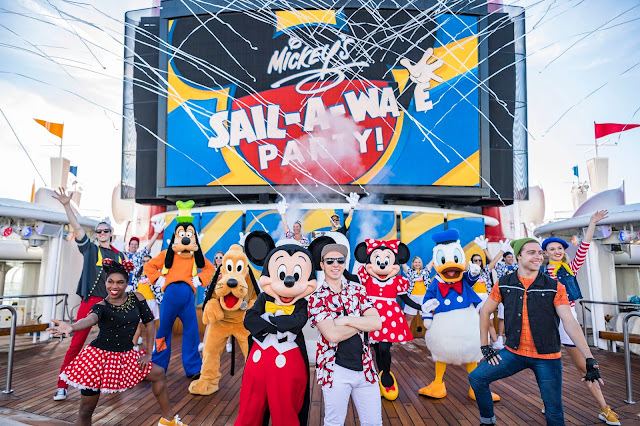 Disney Cruise Line is always a celebration, whether you’re traveling with your family or as a twosome. Couples can also enjoy the fun of being surrounded by Disney characters while you cruise the Caribbean on a short or a long holiday. To up the romance, onboard gifts can be bought and delivered directly to your stateroom, with two specifically for Valentine’s Day. Personally, I would love to have any of these show up on my doorstep: a bottle of sparkling wine, long-stemmed red roses, a box of chocolates or a box of chocolate-covered strawberries. But it’s the Disney-only gift that has me swooning – a box of edible treats in colorful heart and Mickey Mouse shapes, called Cupid Kisses. I wonder if Mickey can deliver those to me at home as well. 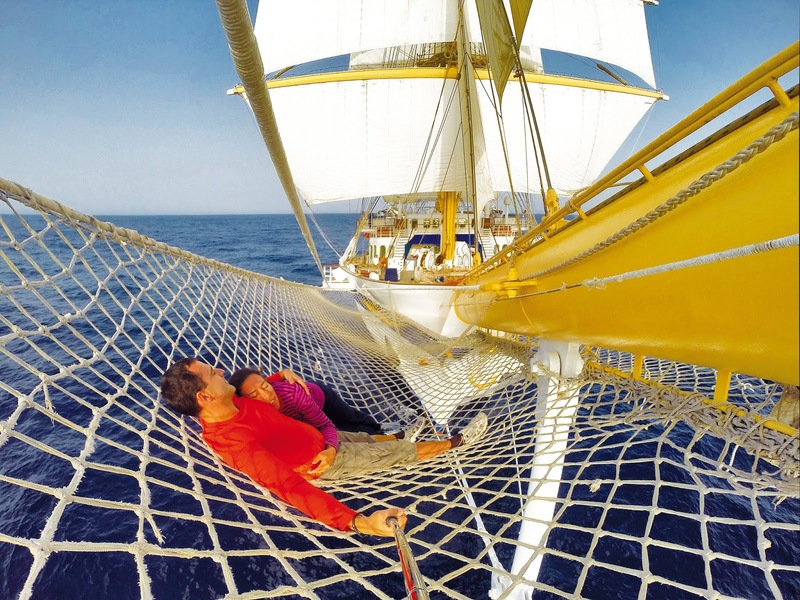 Star Clippers want to be sure that you stay relaxed throughout your sailing on their beautiful clipper ships. If you book a voyage on any of their 2019 or 2020 Star Clipper sailings, you and your sweetie will each get a one-hour massage, a $50 onboard credit, welcome treats and a bottle of Champagne. The catch? This must be a new booking and has to be made by February 14 using the code VALENTINES19. So hurry – this one is pure romance. 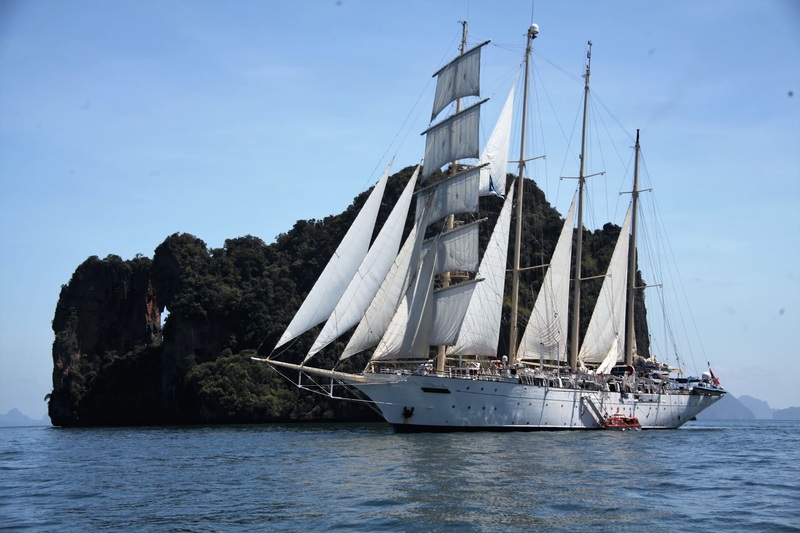 Just take a look at this gorgeous tall ship. If you’re feeling like being romantic and adventurous at the same time, you can climb up and snuggle together in the bowsprit netting which stretches 30 feet forward of the bow, suspended over the ocean. You might just be inspired to do a vow renewal ceremony on the spot! Some of the itineraries to consider? A celebration of “Mamma Mia” with the new Greece sailing, an Indonesia-Brunei-Borneo sailing, and a variety of ports in the Mediterranean and Southeast Asia, all with a feeling of being on a private yacht. France is perfect for amour any time of the year. Beyond Cruises’ “Romantic Provence” cruise through the heart of the Provence region in France has departures from July through October. The name of this barge cruise says it all: it’s pure romance as you take your valentine on this seven-day Rhone River cruise aboard the intimate 11-cabin M/S Anne-Marie Barge. Starting in Arles, famed as the inspirational home of Vincent Van Gogh, you’ll cruise along canals from the 17th and 18th centuries, aside gorgeous landscapes and villages that are the essence of romance. Olives, olive oil, wine, lavender, seafood and spas -- all the images that Provence conjures up -- will be your reality. If you’d prefer a trip through Bordeaux, Uniworld has a romantic wine-filled trip on their new S.S. Bon Voyage ship with their “Brilliant Bordeaux” program. 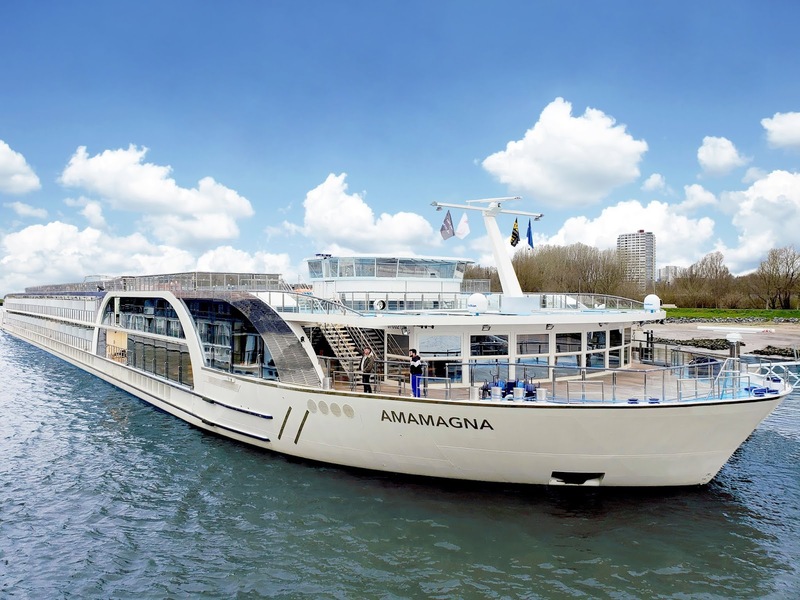 You’ll experience romance over eight days onboard this floating boutique hotel, sailing the Dardogne and Garonne rivers. 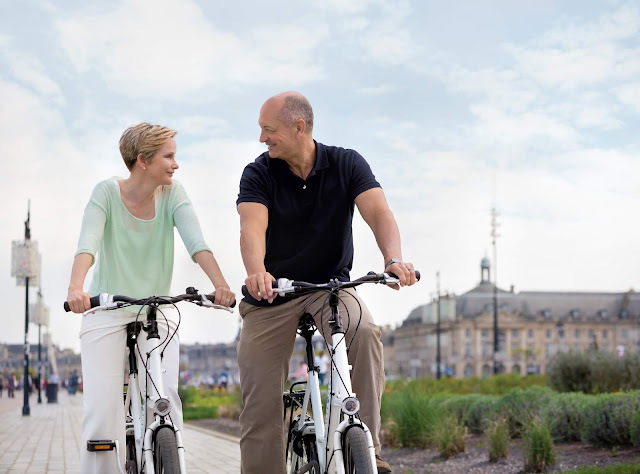 Active travelers can bike through the Medoc and Sauternes vineyards and get lost in the city of Bordeaux on their own or with a tour guide if they prefer. 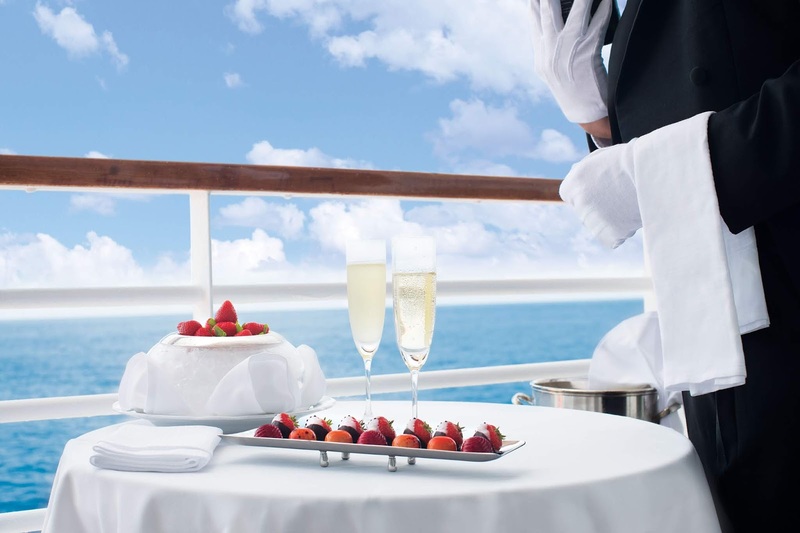 To enhance the romance, you can book one of Uniworld’s Celebration Collection packages and set the stage with fresh flowers upon arrival, Champagne and chocolate-covered strawberries. 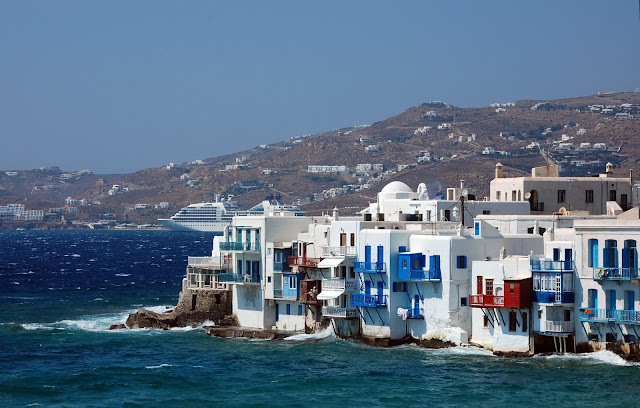 A sail through the Mediterranean is the stuff that dreams (and romance) are made of: a visit to the Greek Isles, Sicily and Malta with their white-washed buildings and blue-painted roofs, black and white sand beaches, and dreamy islands. On Seabourn’s seven-day Greek Isles and Maltese Magic cruise, you’ll leave from Athens and sail through the Greeks islands of Mykonos, Rhodes, Symi and Agios Nikolaos en route to Siracusa, Italy and Valletta, Malta. 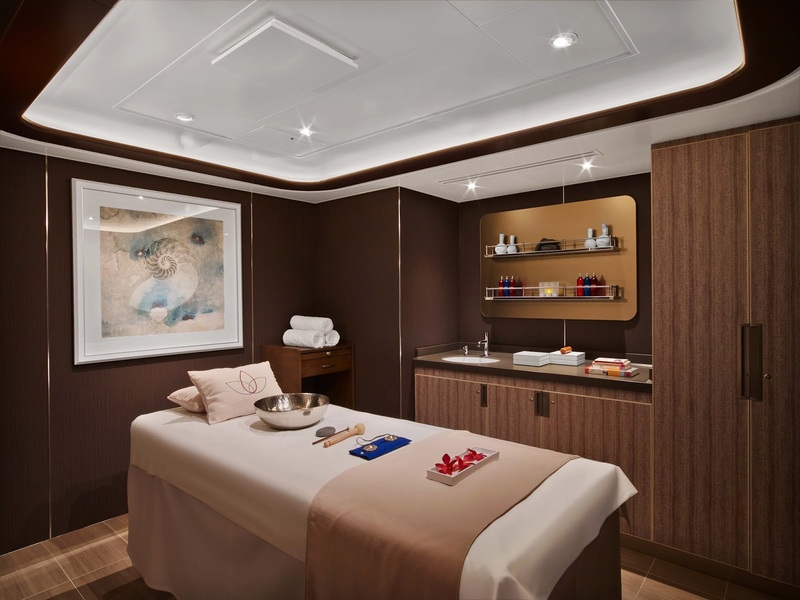 The romance is felt onboard, too, at dinner at The Grill by star chef Thomas Keller, with a spa experience by spa guru Dr. Andrew Weil, and with Mindful Living activities such as sunrise yoga and meditation. You could also combine Greece with Italy, Montenegro and Croatia in a dreamy eight-day sailing on Crystal Cruises’ Crystal Serenity. 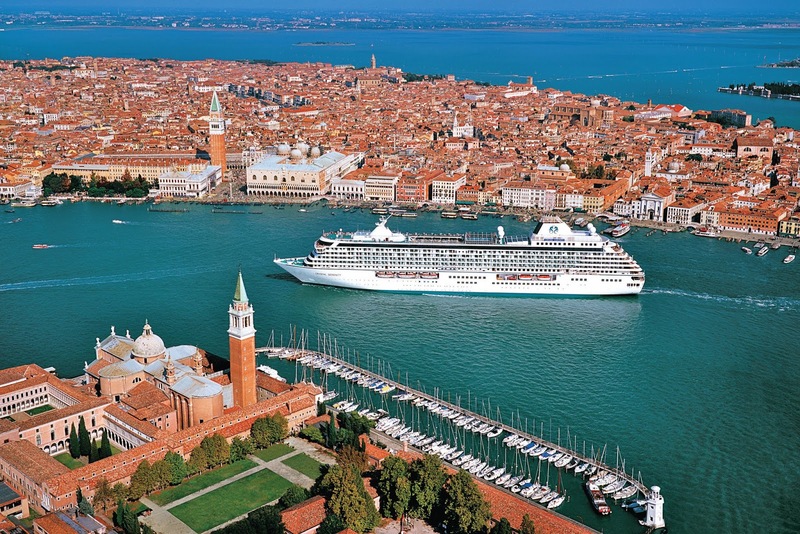 This ship is particularly suited for elevating romance with a concierge who should really be called a love concierge. Just some of the ideas for you to create your perfect romantic voyage are a cake with a personalized message, a couples’ bath in your suite, and a strolling violinist who will play your sweetheart’s favorite songs during cocktail hour. 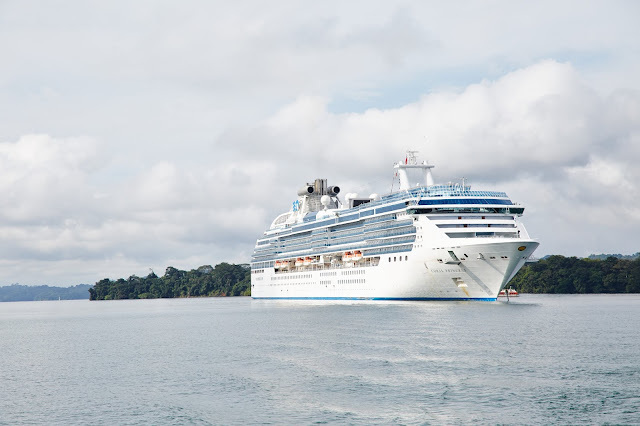 Valentine's Day is a national holiday on the original "Love Boat" line, Princess Cruises. Princess is hosting a fleet-wide renewal of vows onboard its 17 ships on Valentine's Day itself or on any day that you designate as “Valentine’s Day.” With a total of 380 destinations, you can pick the one that suits you best, and Princess’s Celebrations packages will let you surprise your sweetheart with a romantic, bespoke cruise that surpasses all. And if you want to be part of the “largest vow renewal at sea” Carnival Cruises invite you to sail on one of their 26 ships on Valentine’s Day where all participating guests will join the cruise directors to renew their vows in a fun, romantic way, as only Carnival can create – think a party, rather than a ceremony, if you will, with balloon drops and streamers. To add to the celebration, you can earn raffle tickets and participate in a Valentine’s Day “contest.” At the start of the cruise, you’ll receive “Choose Love” flyers in your room, offering tips on how to enjoy romantic activities and specials throughout the cruise. At various points during the cruise, you’ll be given a raffle ticket for a variety of prizes. Sounds like a lot of fun mixed with romance!